Emotions. They can be wonderful blessings that allow us to assign meaning and feeling to everything around us. Or, they can be terrible curses that control our lives and prevent us from being who we want to be. This week's Ten Minute Fix is intended to help you gain control of your emotions and ensure their quality as a force for good in your life. Emotional Quality Control (EQC) - Let's define this as the act of controlling and developing emotions so they may have a more positive impact on one's life. 2. Write them out on strips of paper, pieces of felt, rocks, or whatever you have lying around. 3. Put them in a bag. Every morning, grab an emotion out of the bag and make it your focus for the day. Do your best to explore the feelings associated with the emotion. Seek out opportunities to express the emotion. Think about how this emotion enriches your life and/or makes you a better person. So, if you grab gratitude, you can think about everything you're grateful for, express gratitude, and notice how being grateful impacts your life and the lives of those close to you. If you want to make sure you get to every emotion you can leave it out of the bag so you won't draw the same one twice. It's great to feel! 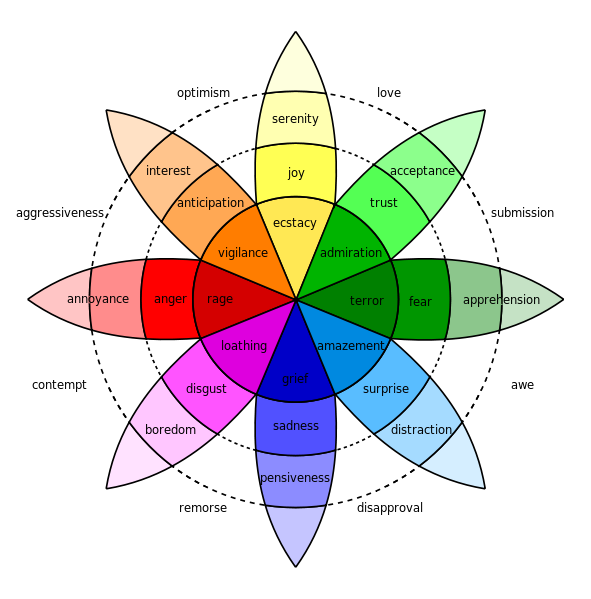 Emotions are so much more complex than the usual happy, sad, stressed, or bored. Explore your world with a new emotional lens every day and you'll begin to discover a whole new depth to your reality.